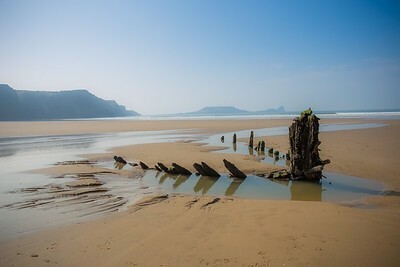 The famous wreck of the Helvetia at Rhossili Bay basking in the sunshine. 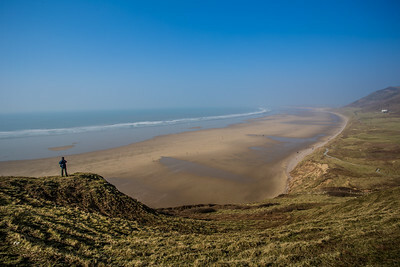 Looking along the length of Rhossili Bay towards Llangennith. My brother stood on the out crop of headland just off the coast path to add scale. An amazing view. This picture was shared by Canon UK on Instagram. 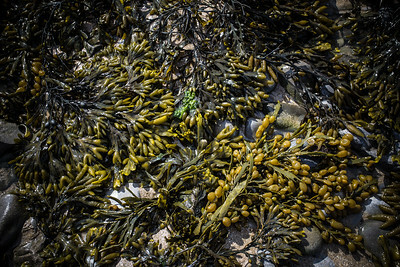 I love taking photos of seaweed. The colours, the textures. All so different which makes for interesting subjects for images. 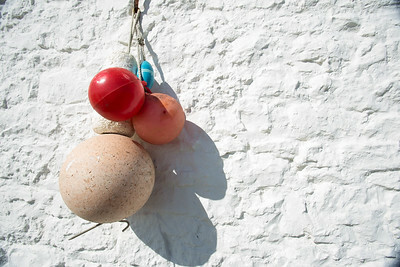 Buoys anchored to a cottage on Port Eynon sea front. 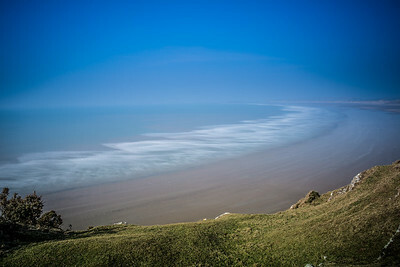 A long exposure (30 seconds) of the waves breaking on the shore at Rhossili. Fire in the sky at Oxwich Bay. It was a winter afternoon in January and the colours here were amazing. 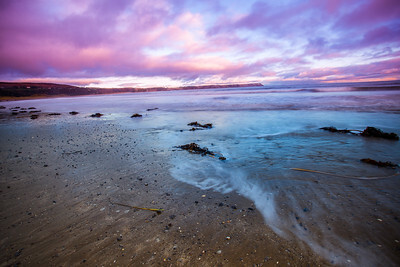 I used a long exposure shutter speed to catch the movement of the tide, just as the sun was setting. 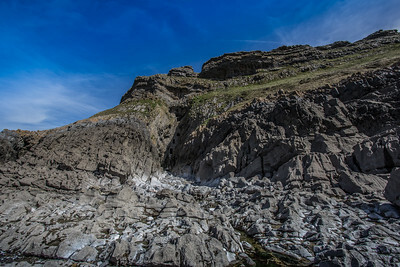 The amazing Culver Hole built into the coast at Port Eynon. Is it a smuggler's hideout or a dove cot? Looking at the cliffs around it you find yourself wondering how they ever managed to build it here. An amazing place. 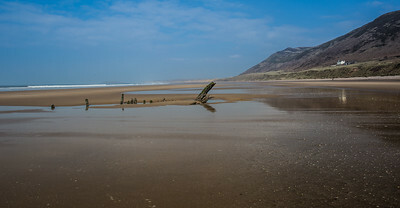 Looking across the length of Rhossili bay past the wreck of the Helvetia. 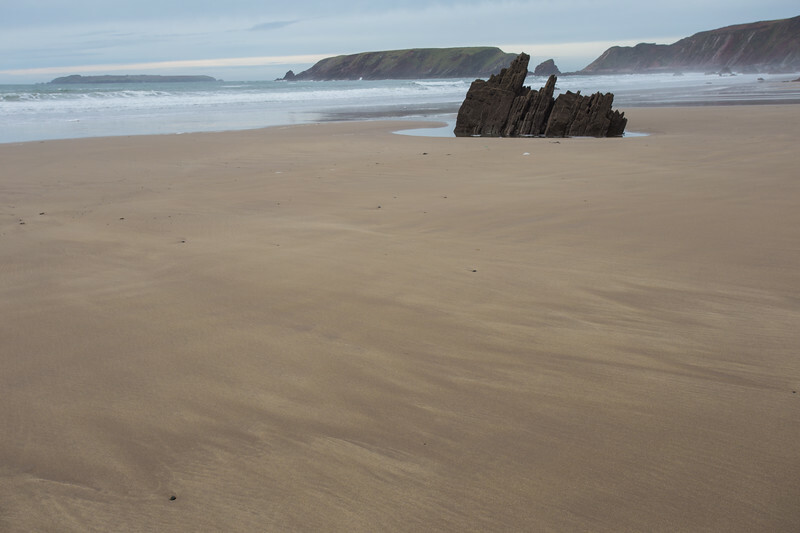 I loved the reflections here on the wet sand. 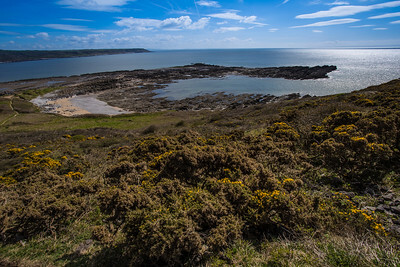 Looking across Port Eynon bay on the climb to Port Eynon point. 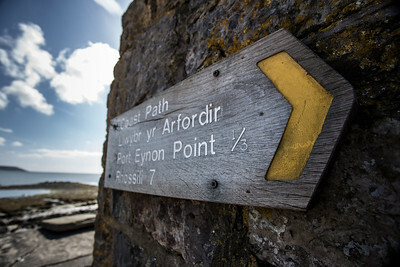 A coast path marker sign at Port Eynon with the sea and coastline in the background. 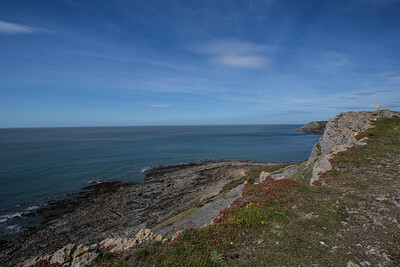 Looking out to sea from Port Eynon Point. It's only when you reach the top of the climb you realise how high it actually is. 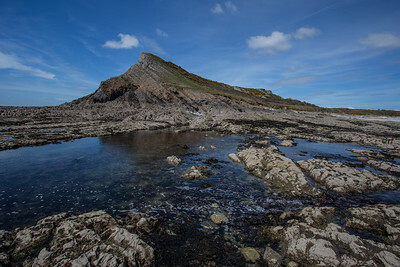 Looking back inland towards Port Eynon Point. 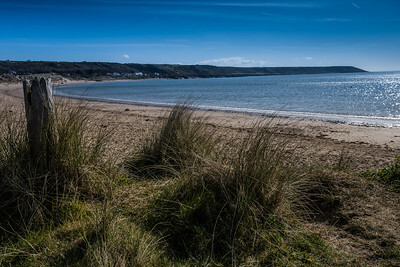 Looking through the long grass in the dunes, across Port Eynon beach towards Horton bay. 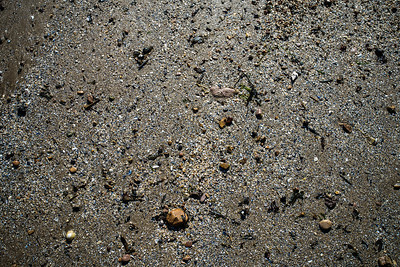 Sand, shells, seaweed all washed along the beach at Port Eynon glistening in the sun. Long exposure of Culver Hole near Port Eynon. 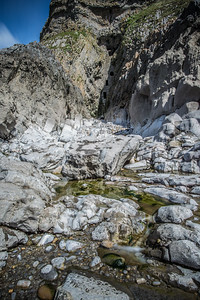 I wanted to capture the effect on the rock pools here with the longer exposure highlighting the cascading water, from pool to pool. 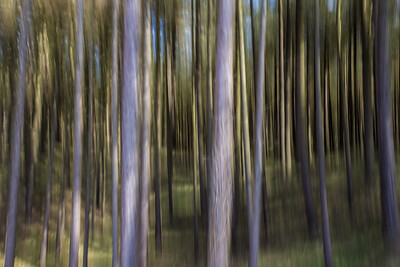 Tree panning at Whiteford Burrows. Using a slow shutter speed and panning with the camera, to create the motion blur. 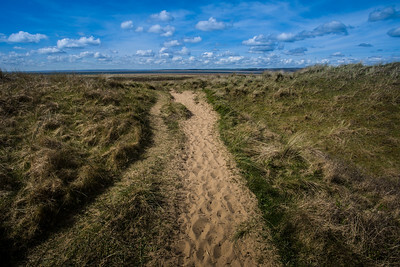 Walking to Whiteford dunes through some of the best sand dunes in Wales. So many photo opportunities here. 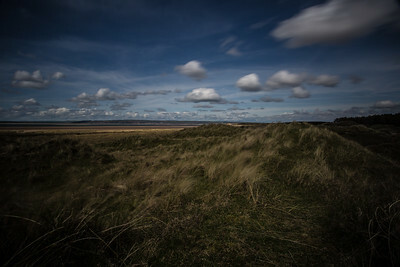 Looking towards Burry Port and Llanelli from the extensive dunes at Whiteford Sands. 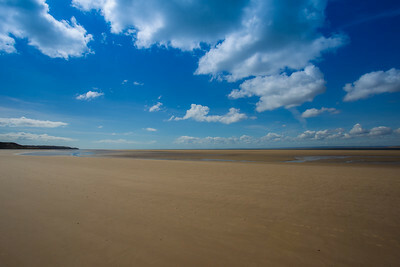 The wide expanse of Whiteford Sands, totally deserted without a person in sight. 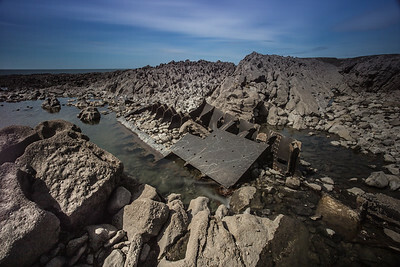 Rock pools at Port Eynon. 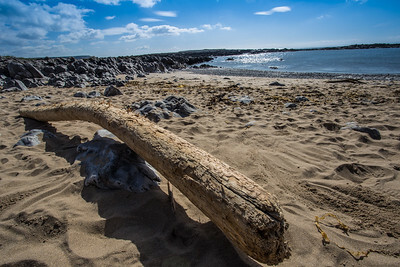 These hold fond memories for me, we always had family holidays at Port Eynon and would always try catching fish in the rock pools. 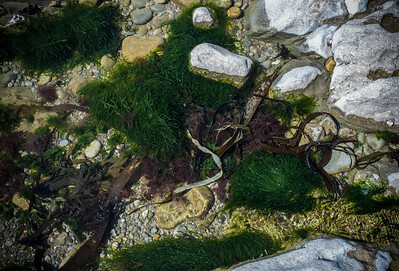 Rock pools make great photos too, full of life and colour. 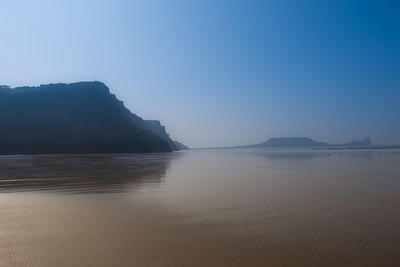 The sun breaking through the haze, looking from Rhossili beach towards Worm's Head. 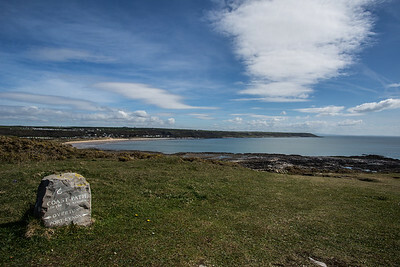 The view from the Wales Coast Path at the top of Port Eynon Point looking back towards Port Eynon town and beach.